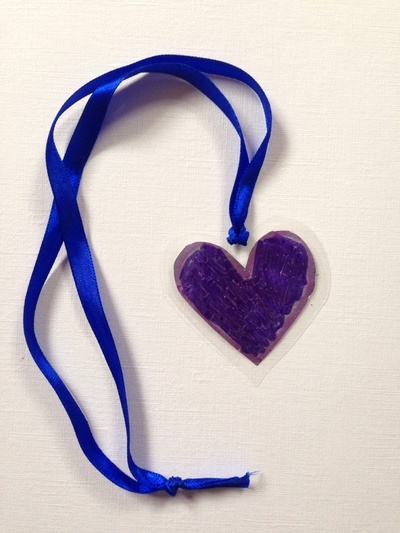 Here's how to make a quick and easy metallic necklace by laminating aluminium foil. This would also be a good way to create shiny medals. 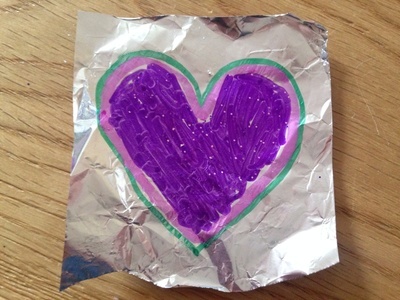 Draw and decorate a shape for your necklace on the aluminium foil using Sharpie pens. 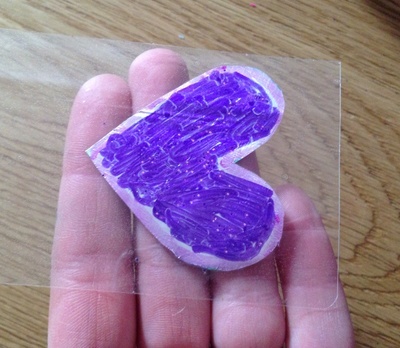 Cut around the shape and place in a laminating pouch. 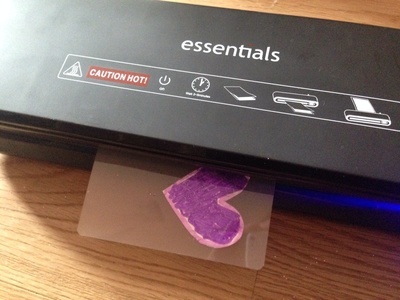 Pass the pouch through the laminating machine. 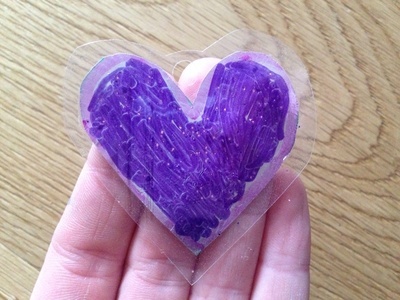 When cool, cut around the outside of the shape with scissors leaving a small clear border. Punch a hole using the hole punch. Tie ribbon through the hole to complete your necklace.